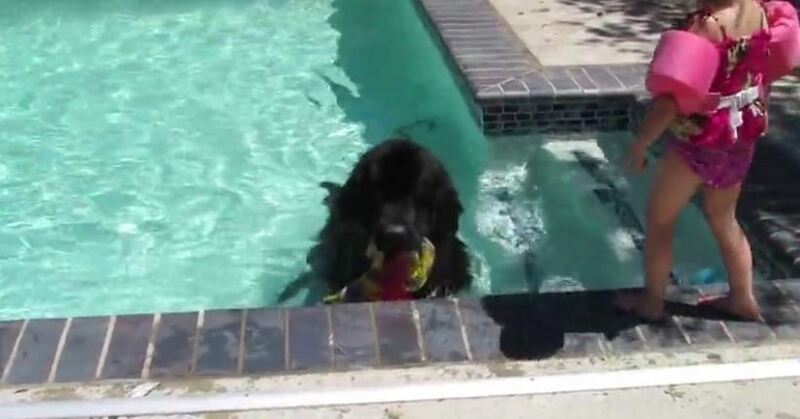 Sebastian the giant Newfoundland dog loves to retrieve things in the pool and little Sierra loves to play with him, watching him swim. It’s cool to see such a big dog swim so gracefully! Credit to ‘brenmichelle’.